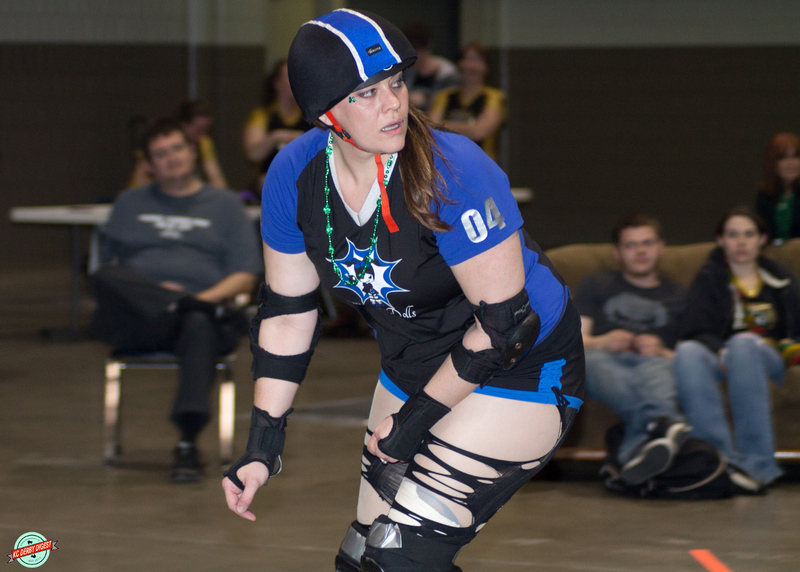 Our featured Blacksnake Rollergirl for May 2014 is Poisonberry of the Venomous Vixens! How did you discover the Blacksnake Rollergirls? 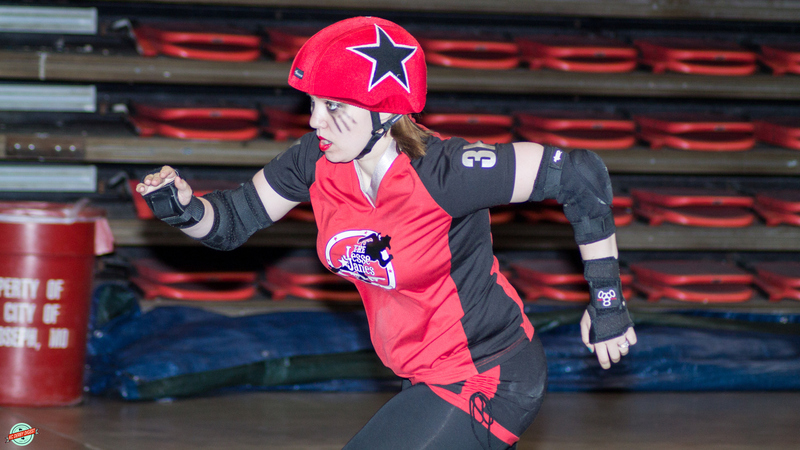 What is it about roller derby that brings out the best in Poisonberry? 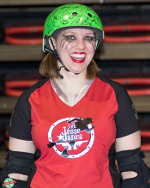 Our featured Blacksnake Rollergirl for April 2014 is Notorious L.I.Z. of the Jesse Janes! 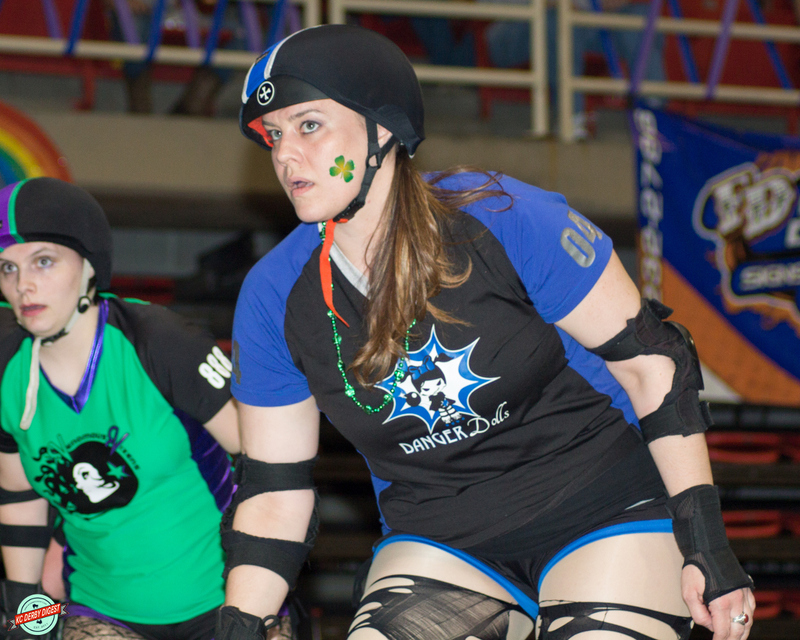 What is it about roller derby that brings out the best in Notorious L.I.Z.? The derby community, as big as it is in Kansas City, has seen its share of hardship in the past couple of years, and we always seem to pull together and get through it. Unfortunately, tragedy struck again over the weekend as Notorious L.I.Z., founder of the Blacksnake Rollergirls, and her family lost their home to a fire. No one was home at the time, so everyone is safe. 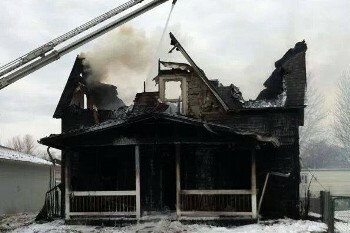 The house and everything in it, though, was a total loss. But as always, we’re coming together to take care of our own. Click to see the Go Fund Me fundraiser page. 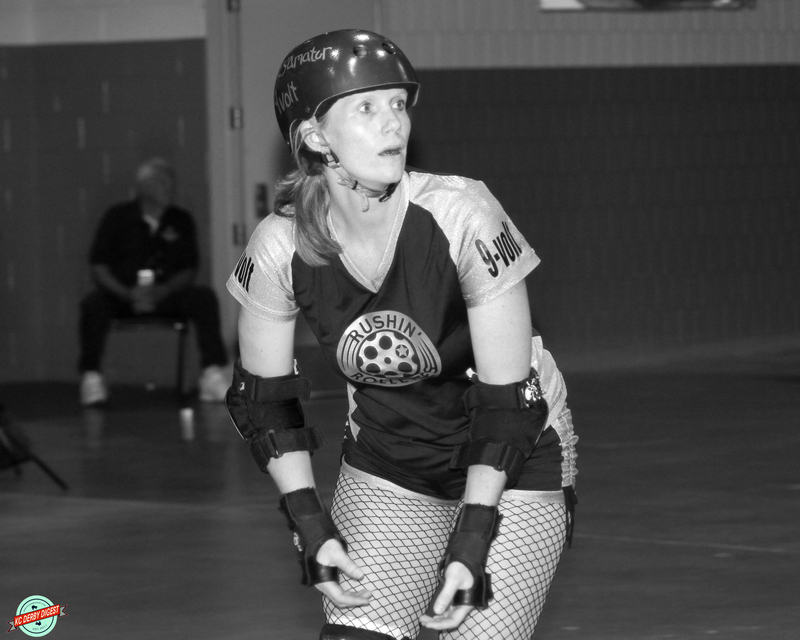 MX Plosion, formerly of the Kansas City Banked Beauties and now refereeing for the Blacksnake Rollergirls, has set up a Go Fund Me page to help Liz and her family recover from this astounding loss. As of press time, they’ve already racked up over $3,000 in donations (in the first 24 hours), but the question remains — is it really possible to do enough for a family in this situation? No. No, it is not. So don’t be deterred by the lightning pace with which the fundraising “goal” was reached. MX has said the donation page will remain open through this coming Friday, and we’d like to see donations surpass the $5,000 mark if at all possible. If you’re at all able, even the smallest donation will add up and help this dear family as they piece their lives back together. We can’t even imagine the loss. But the good the community is already doing is enough to bring a tear to the eye, although we frankly wouldn’t expect anything less from the people of Kansas City roller derby. To begin with, you can drop off donations of clothing and toys at the St. Joseph Firefighters Hall on Tuesday nights from 7:00 p.m. to 8:30 p.m. It’s located at 4314 S. 40th St, St. Joseph MO 64507. In addition, there’s also a Rummage and Bake Sale Fundraiser happening on April 26th in at the corner of Grand and Walnut in Cameron, Missouri. Follow that linky-pooh to see the Facebook event page. There’s a list of things they’ll be accepting as donations for the fundraiser, and they’ll even make arrangements to pick things up if you’re not able to go very far. And finally, KC Carr of KC Derby Digest will be making a trip up to St. Joseph this Saturday to take donations of clothing, toys, gift cards, and anything else you might want to send along. Feel free to e-mail him at kcderbydigest [at] gmail-dot-com, and he’ll make arrangements for pick-up/drop off of any donations you’re generous enough to provide. 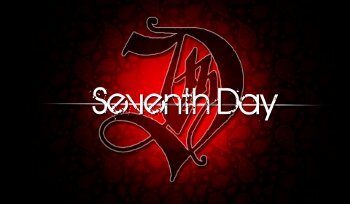 Finally, the band Seventh Day, always a friend to Kansas City roller derby, is donating all advance ticket proceeds from their show this Saturday, April 12 to benefit the Notorious L.I.Z. family. Click to see the Facebook event page. The show will be held at the All-Star Rock Bar at 7210 NE 43rd Street in KCMO. The first band will go on at 9:00, and the show will also feature Approaching Midnight and The Summit. (Order of the bands won’t be known until showtime.) Details on how to order advance tickets are posted on the Facebook event page, just click that photo right there. 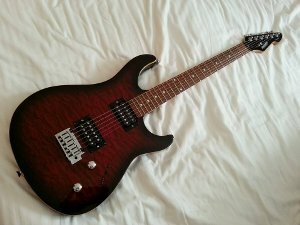 In addition to the advance ticket donation, Seventh Day will be raffling off this guitar, which will be autographed by all members of the band and presented to the winner of the raffle at the end of the show Saturday night. All proceeds from the raffle will, of course, go to help the family as well. We simply can’t thank you all enough for your unbelievable support. 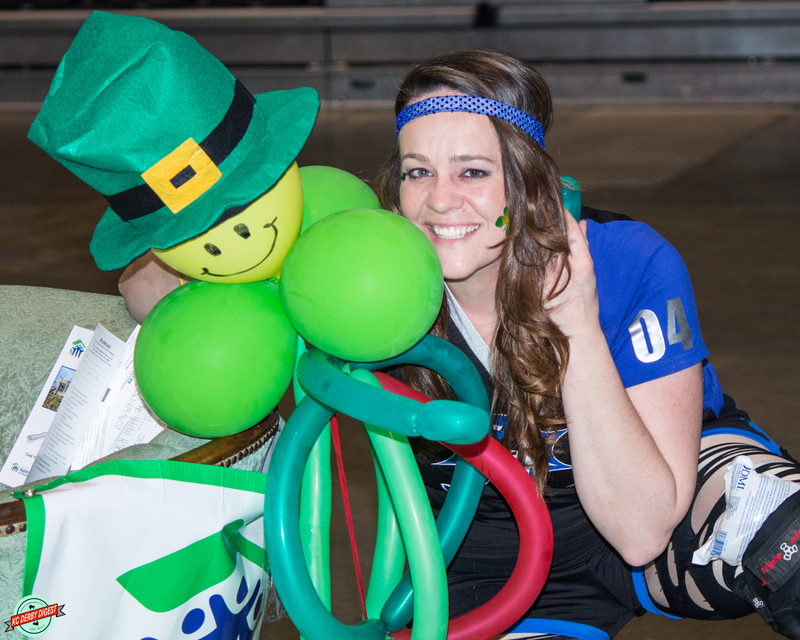 The Kansas City roller derby community is like nothing we’ve ever seen. Thanks to all the leagues who have helped/donated, enormous thanks to Seventh Day for their compassion and generosity, and most of all, thank you, the readers of KC Derby Digest, who encompass all of the above and more. We couldn’t do a bit of this without you. 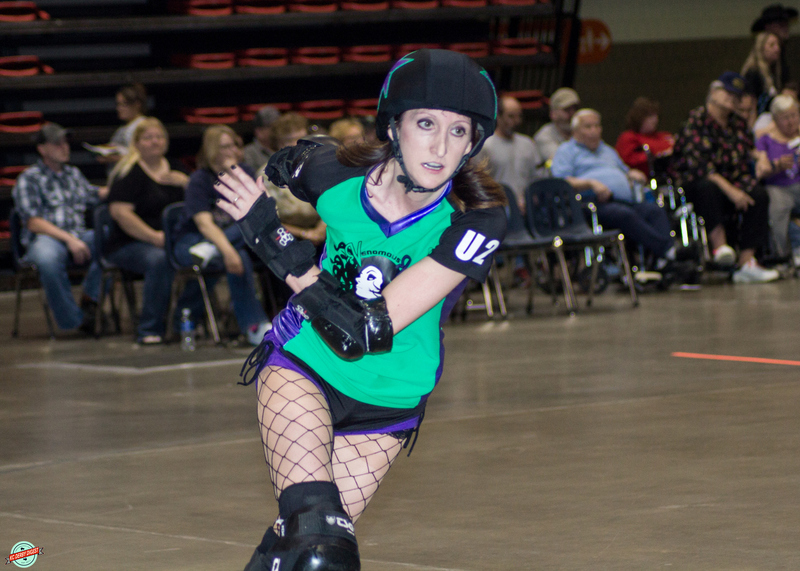 Tonight, at the St. Joseph Civic Arena, the Blacksnake Rollergirls host Game 3 — aptly titled 28 Skates Later — and for a handful of reasons, it may turn out to be one of the most important events of their incredible 2014 season. Someone will be bringing home their first win of the season… and someone else will be notching their first L of 2014. 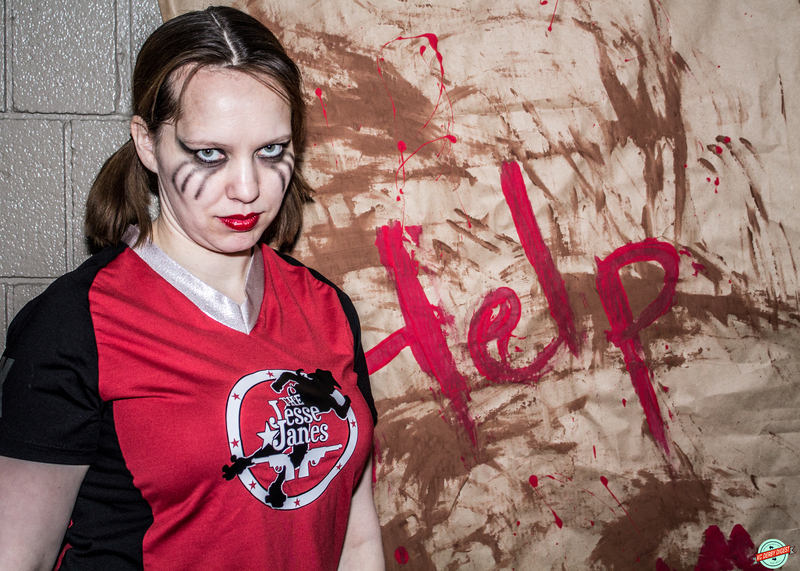 First on the agenda tonight, the Jesse Janes and the Venomous Vixens are both vying for their first win of the season. These two thus-far winless teams are hardly short on talent; both are quality teams with fantastic rosters that just haven’t hit their stride yet this year and look for things to start turning around tonight. 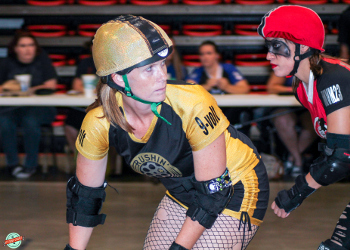 The second game of the night features two undefeated teams in the Rushin’ Rollettes and Danger Dolls, both of them expansion teams that were new to the league last year. 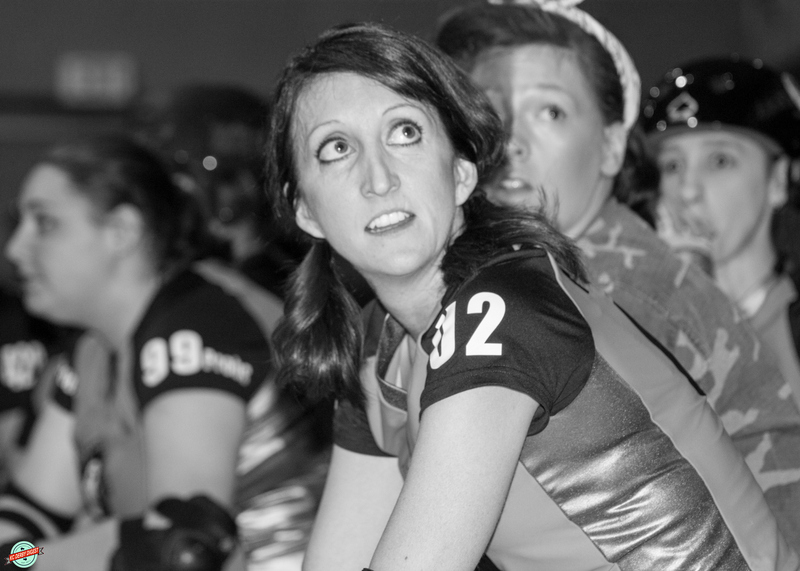 The Danger Dolls are the defending Blacksnake Rollergirls champions, but look for the Rollettes to aim their high-speed artillery squarely at the Ladies in Blue in a bid to possibly take home the house cup this season. Both games tonight should be extremely competitive and close, and we can’t wait to see who comes out on top. As always, there will be a 50/50 raffle, the Chuck-a-Duck contest between games, terrific vendors, and all the BRG merch you can afford. Doors open at the Civic Arena at 5:00 p.m., and the first game will begin promptly at 6:00. Join us in St. Joseph tonight for 28 Skates Later! Our featured Blacksnake Rollergirl for March 2014 is Hott-Ness Monster of the Danger Dolls! 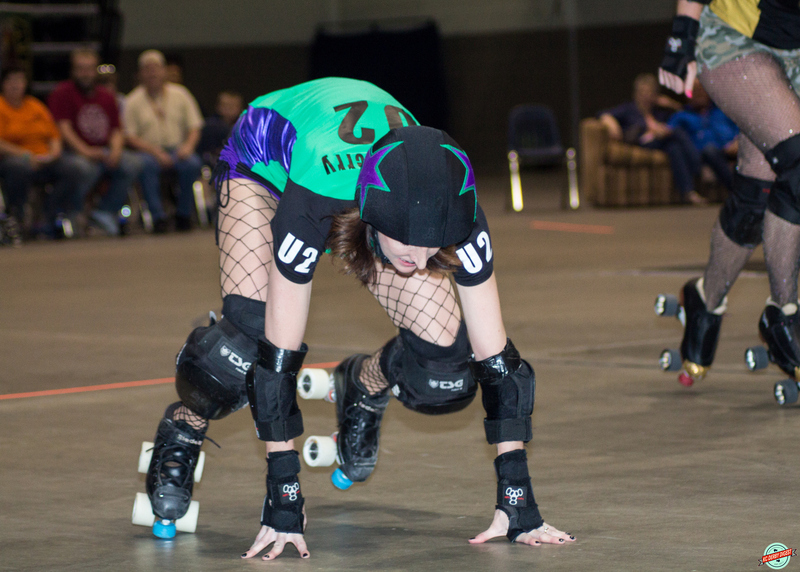 What is it about roller derby that brings out the best in Hott-Ness Monster? 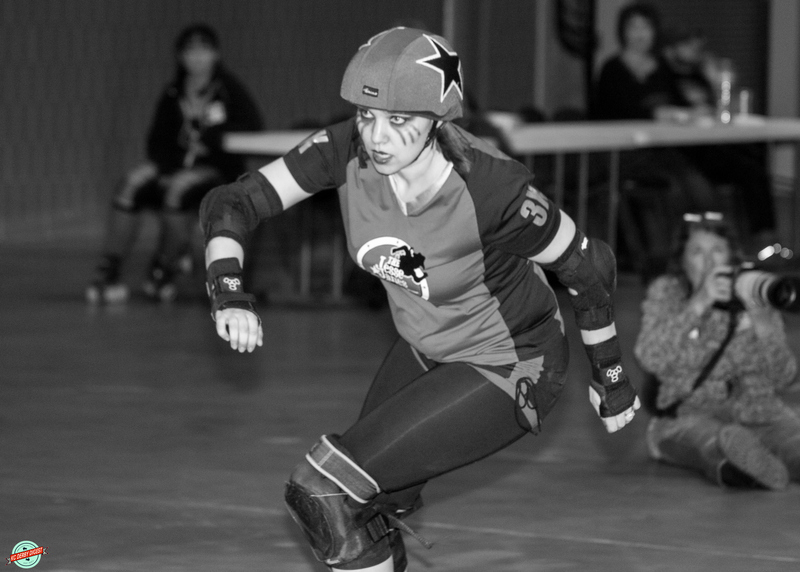 Our featured Blacksnake Rollergirl for February 2014 is Des’amator of the Rushin’ Rollettes! 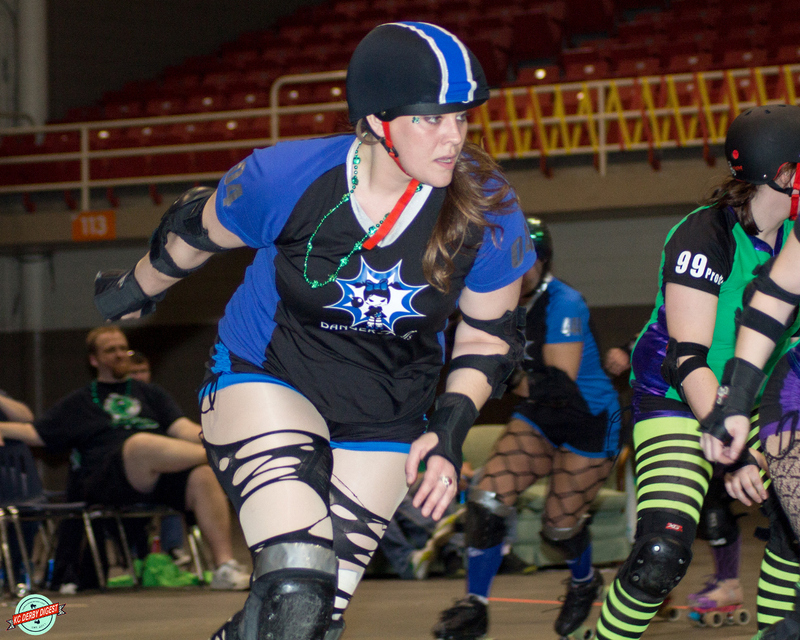 What is it about roller derby that brings out the best in Des’amator?